Have you found an online vendor selling Damoiseau Vieux 8-Year? 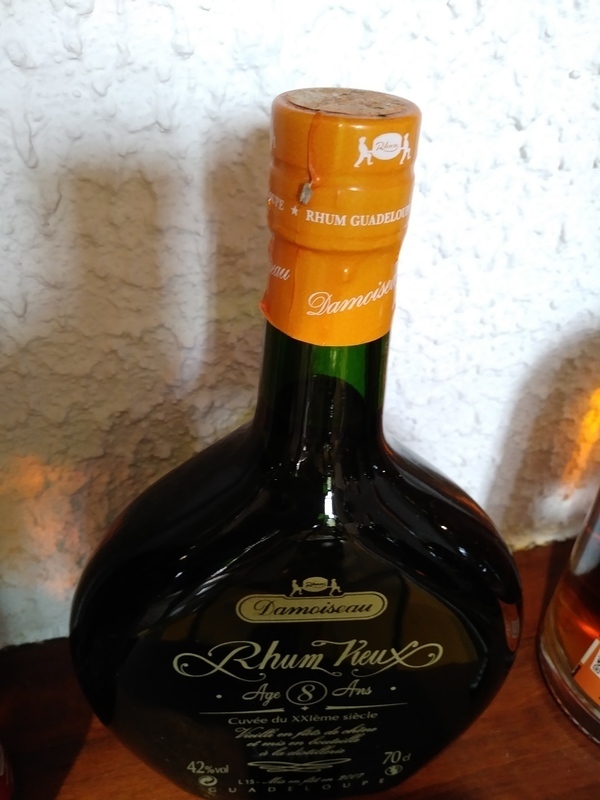 Visited the Damoiseau Distillery in Guadeloupe and bought a bottle of Damoiseau Vieux 8y from the distillery since their tasting bar was very limited. Nice looking and high end bottle and label design. Light golden color. Typical Rhum Agricole flavors alongside grass, fruits, vanilla and oak followed by a strong burn from the alcohol. Rhum Agricole fans can easily add 2 points to my score. One of the smother Agricole I have tasted, but it should have been more complex to get a real top rate from me. This could have been an everyday Agricole for me if it wasn’t for that it’s becoming hard to find. Maybe the 8-year Damoiseau in the new bottle tastes about the same. bright bronze colour. Flavour is dominated by wood, vanilla and fruits together with fresh cane and some little notes of fresh grass. The attack is very mild and fine with additional notes of butter and toast. Fine long finish. Close to a Cognac. Sur des notes de vanille qui dominent et de vanne fraiche avec un tres leger boise subtil c est un super rhum pour 45 e je crois me souvenir a la distillerie.c est celui que ma conseille le cendeur quand je lui ai dit que j etais collectionneur.il m a dit que le 10 ans plus cher etait plus boise et moins bon a son gout. Je n ai pas etait decu.j adore leur rhum car c avec un rhum damoiseau reserve speciale que j ai eu envie de connaitre l univers du rhum. Je le conseille car difficille d etre decu avec.seul il est excellent. 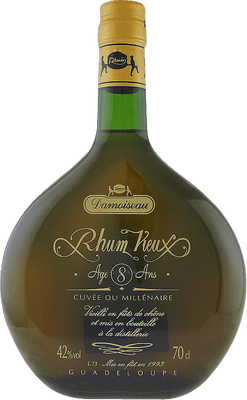 This Rhum Agricole is quite sharp with noticable hints of Cognac. If you like your rum Sweet and mellow, this is not a rum for you. Cognac like mouth feel - a great expression of French sugar cane style Rhum. This is the closest Rum I tried so far that I thought was Cognac, the bottle looks lite it also.